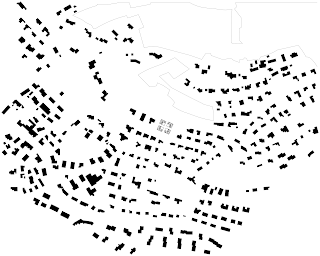 The four courthouses are located on a hilly plot on the top of the settlement area of Zumikon/Switzerland. 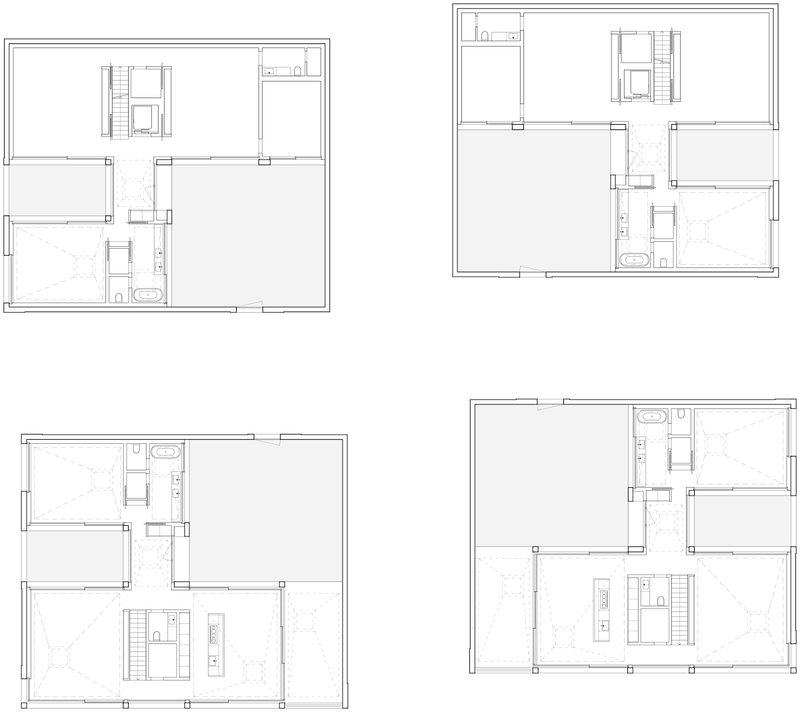 The typology of the courthouse is a reaction to the strict building regulations of the community, which unable a concentration of the living areas. 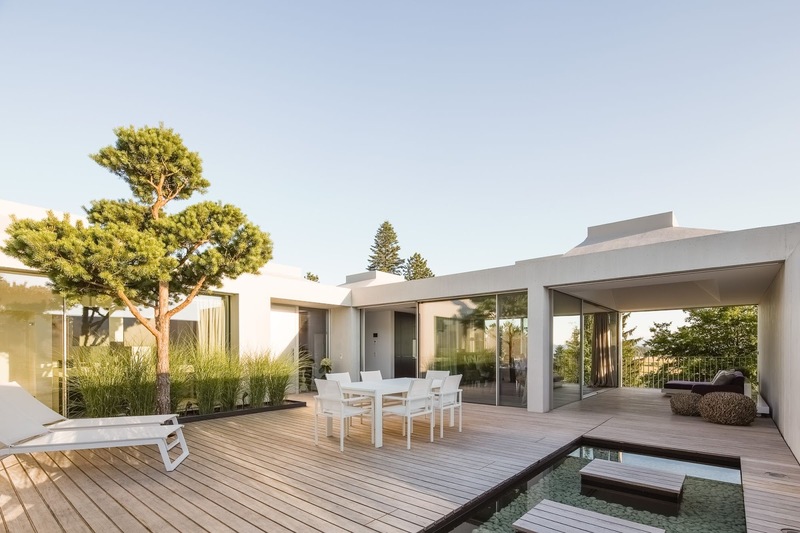 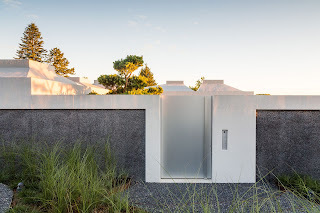 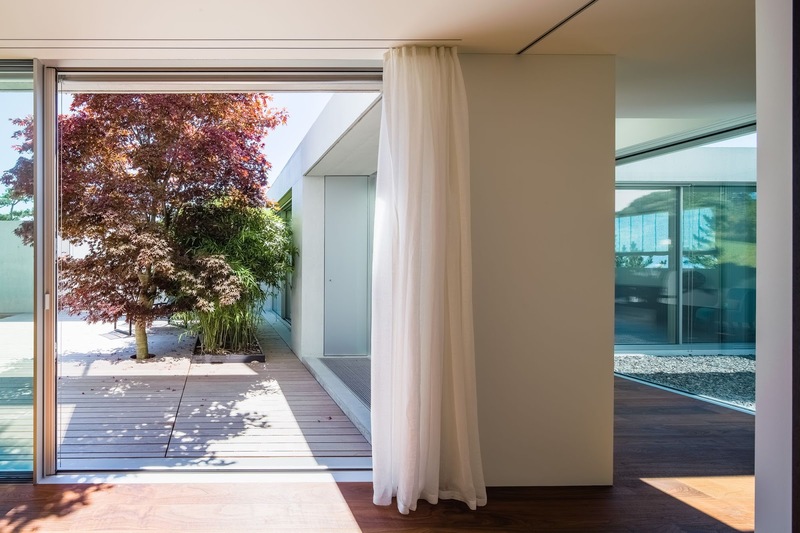 With the chosen structure a high level of quality and privacy in the indoor and outdoor spaces could be achieved. Instead of an individual sprawl of private gardens a generous, common park landscape connects the ensemble with the natural environment of the neighboring forest. 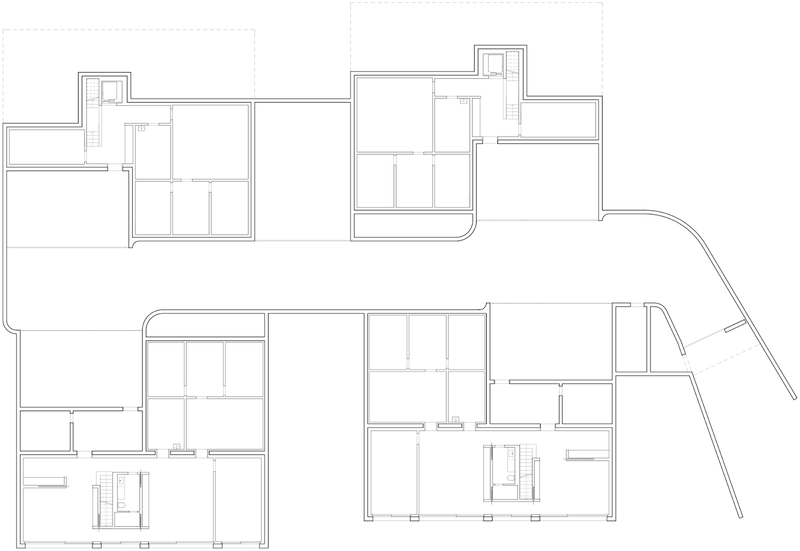 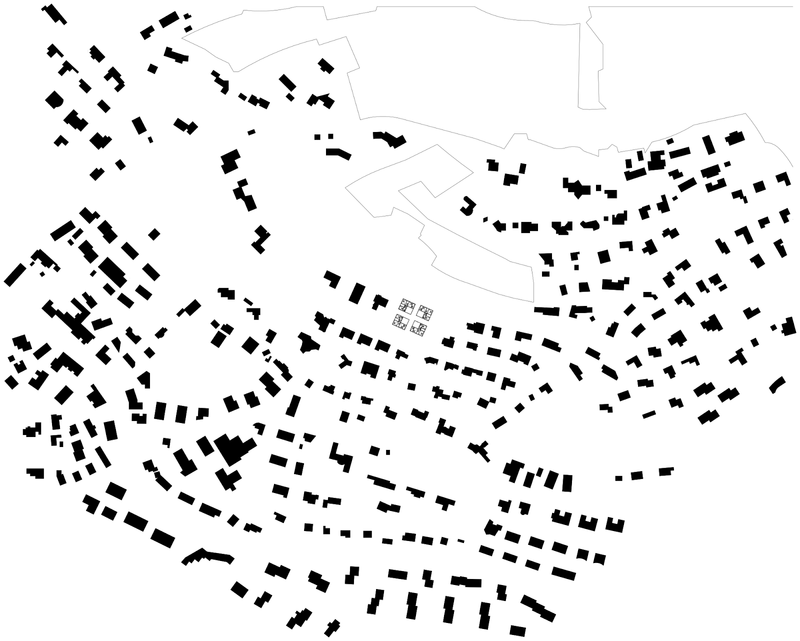 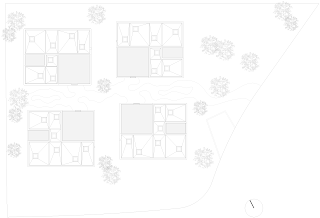 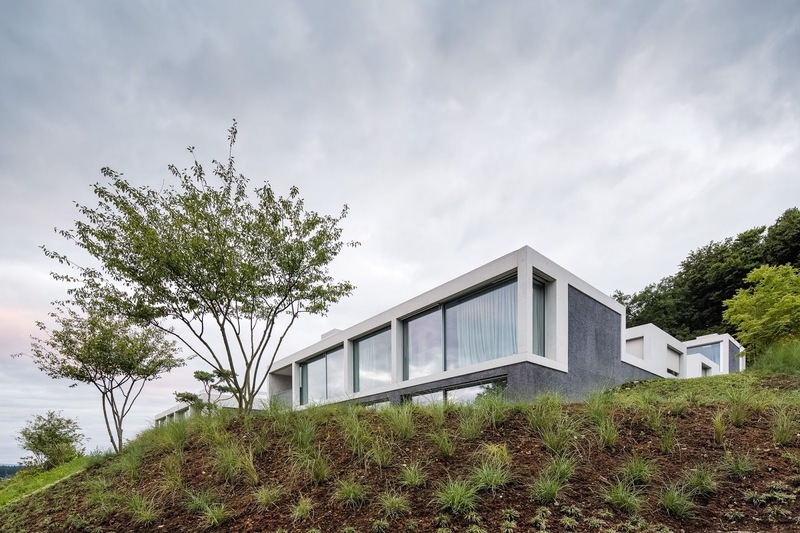 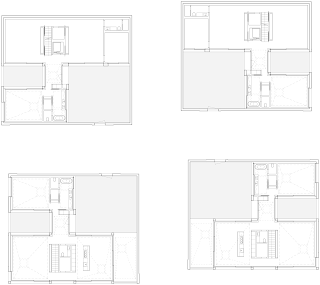 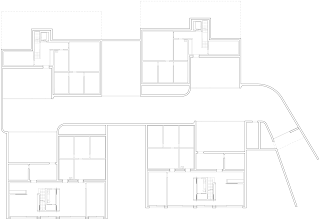 The four houses are built up in a modular way, identical in the basic conception but mirrored in the common middle and reacting individually to the particular topographic situation. 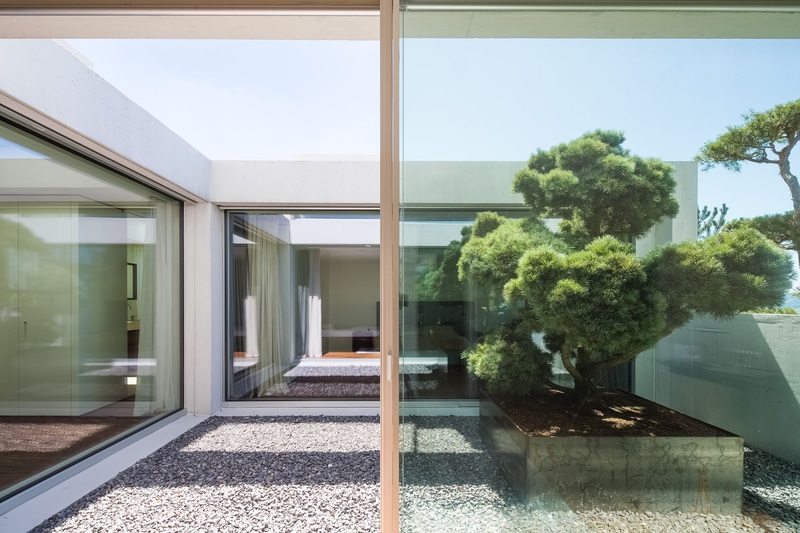 The stringent structure of the layout is reflected in the facades as well as the roof-landscape. 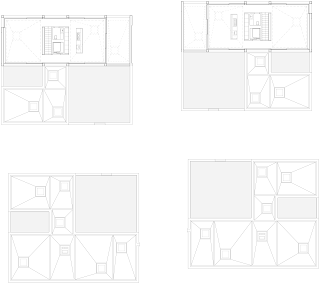 Each room has it’s own baldachin with a skylight at the upmost position. 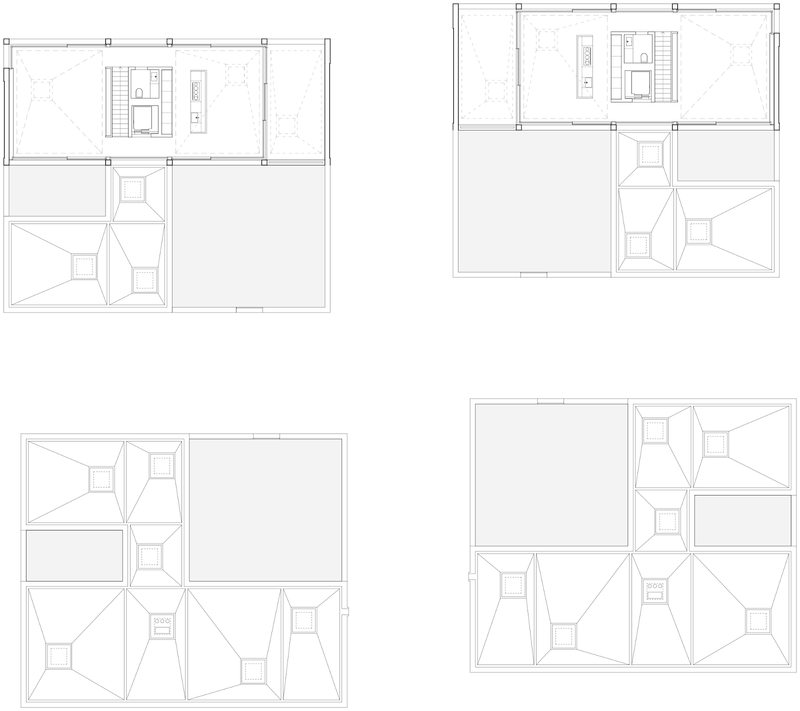 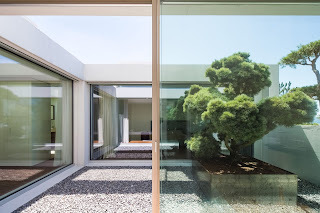 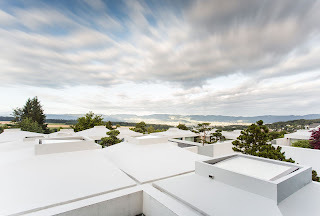 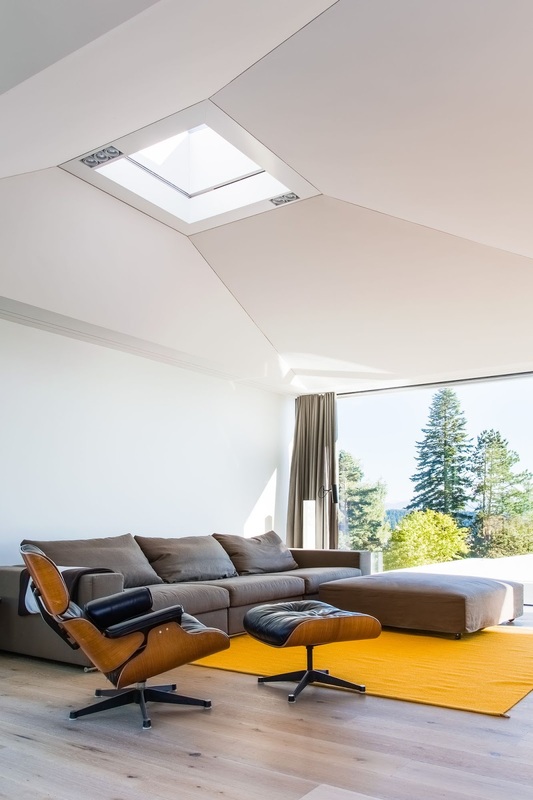 The roofs react on the scale and importance of the particular rooms and help to arrange the different functions. 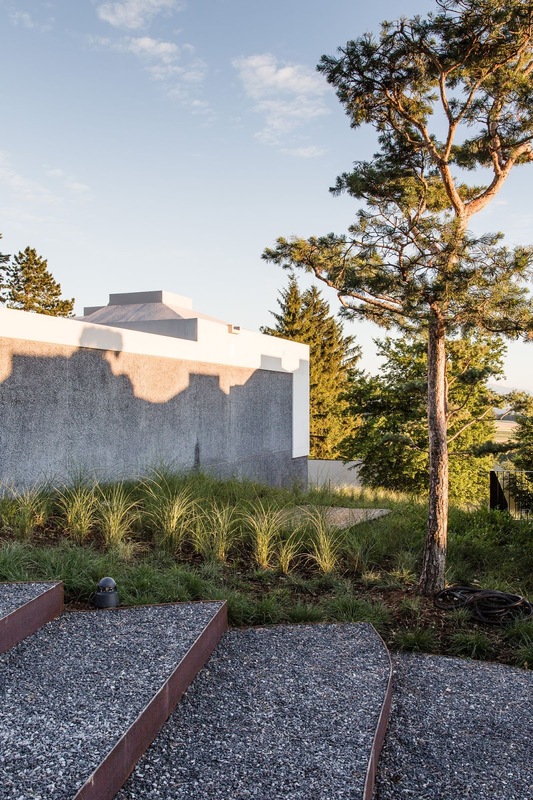 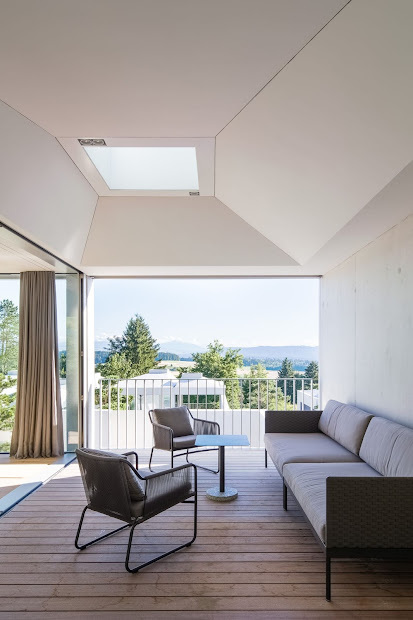 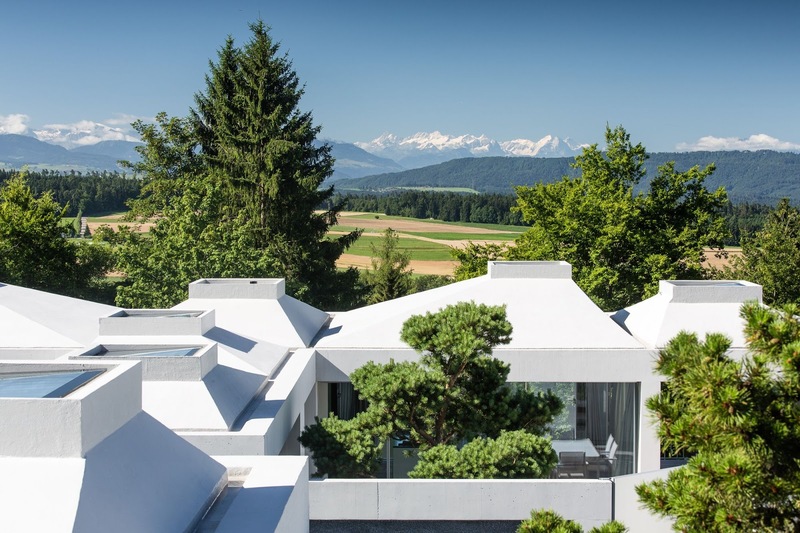 The roof-landscape is an architectural answer to the building regulation regarding sloping roofs and gives the building-ensemble a unique identity. 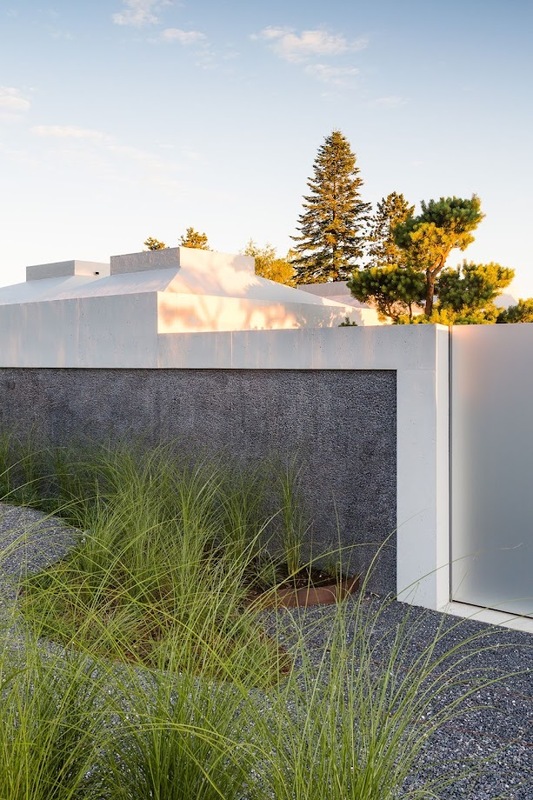 The surfaces of the facades are made of decorative concrete with clear and dark parts. 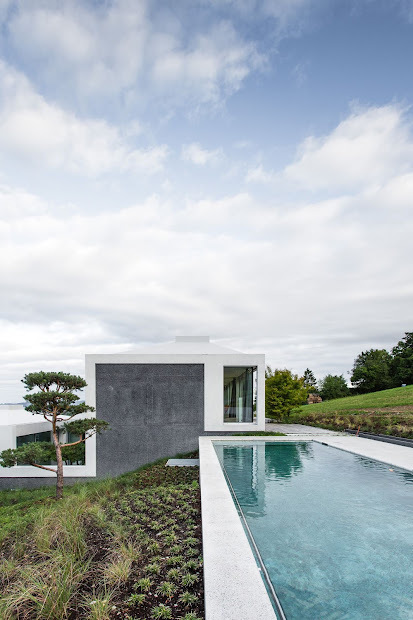 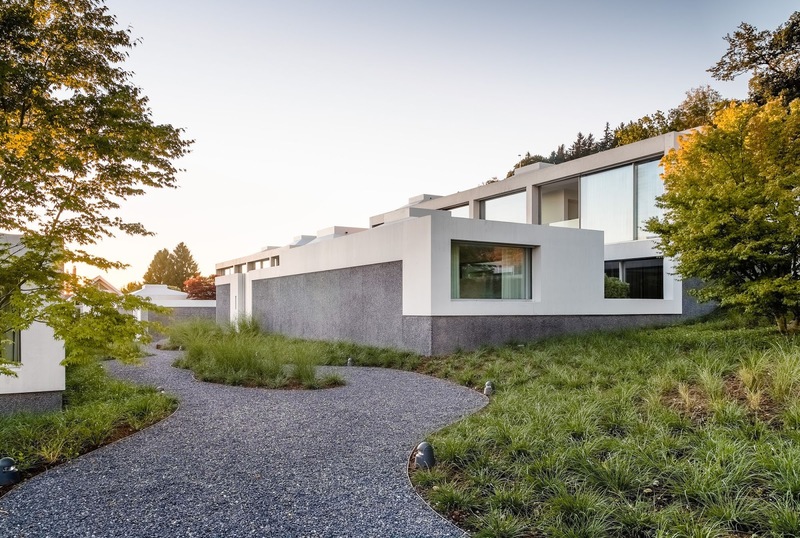 The same material of grey-cemented concrete added with limestone was treaded and processed in a different way to fulfill the specific function and aesthetic.